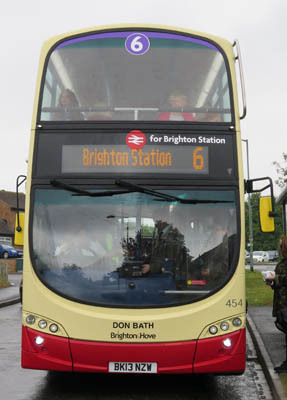 Connections with Brighton and Hove : Don Bath knew every street in Brighton and Hove, the resort that was always his much-loved home. He served the city for many year as chairman of streamline, the major taxi operator for most of that time. Coming from a long line of taxi drivers, he was proud of the fact that his great grandfather in Victorian times, was the first man in Brighton to have a horse drawn cab. 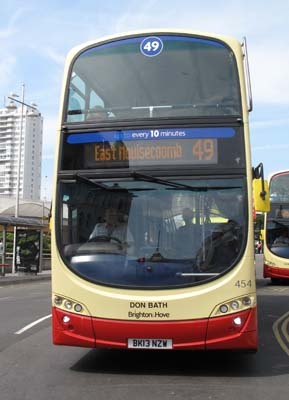 Mr Bath, who lived his whole life in Brighton, was passionately interested in the history of Brighton and knew a great deal about it. As chairman of Streamline for more than 30 years, he ensured that drivers and their cabs were of the highest standard possible. 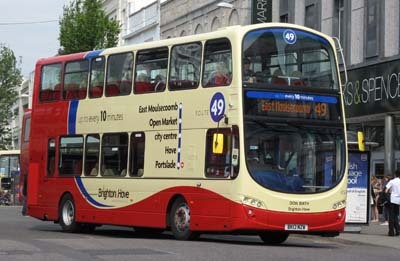 He always drove a cab himself, working long hours, and was well known at all the main ranks, such as the one at Brighton Station. His daughter Sue said he was also highly respected. Mr Bath died in 2009 aged 87. He would have been glad to know that members of his family still work in the trade. 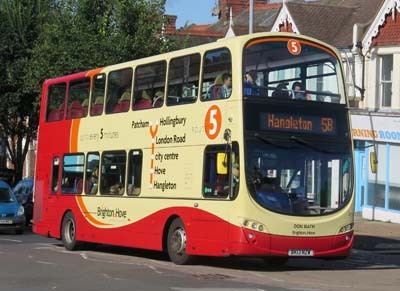 454 Volvo Gemini - carried name since delivery in May 2013 on Route 49. 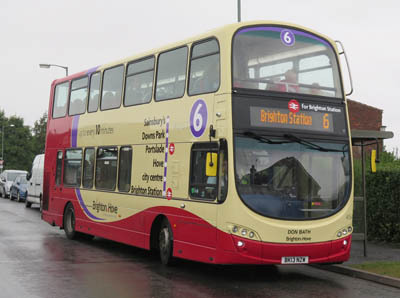 Rebranded as Route 6 from September 2016. 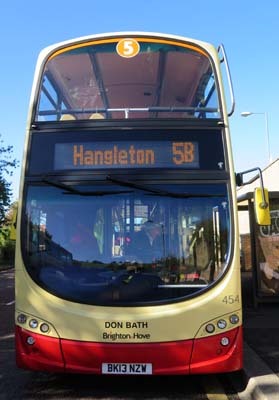 Rebranded as Route 5 in September 2017.